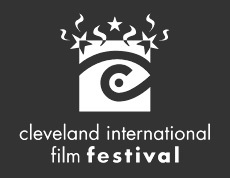 The Cleveland Movie Blog: Who Wants $50 In CIFF Merchandise? Who Wants $50 In CIFF Merchandise? Who wouldn’t want $50 to spend on CIFF merchandise? Renew your CIFF membership or become a new member before October 1, 2012 and be entered to win a $50 CIFF Merchandise Gift Certificate. Use it on merchandise that is currently in stock or spend it at the 37th CIFF. To peruse the merchandise inventory, click here. To renew or become a member, click here. Mark your calendars for the extended 37th CIFF: WEDNESDAY, April 3 – Sunday, April 14, 2013 at Tower City Cinemas. And if you’d like to relive some of the highlights from the 36th CIFF, click here to check out our video.